Fellow author Heather Webb sent Anna Lee Huber my way, and I couldn’t be happier that she did. Anna is currently working on a five-book historical mystery series (Book 3 comes out July 1) set in 19th century Scotland and featuring one heck of a heroine. I am honored to have her here today, and to let her tell you a bit more her work. After the interview, leave a comment for a chance to win a copy (a real live print one!) 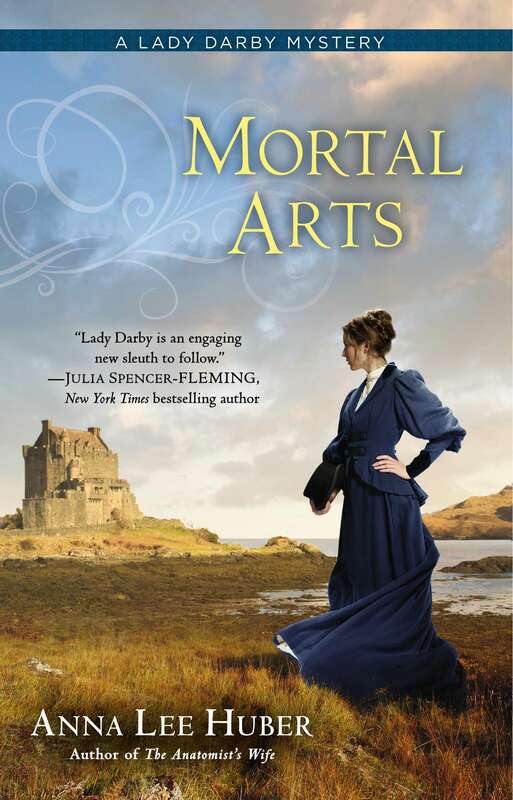 of Mortal Arts, Book 2 in the Lady Darby mystery series. 1. Your series about Lady Kiera Darby series is truly unique in that it straddles so many genres—mystery, romance, historical fiction. How would you describe it for new readers? 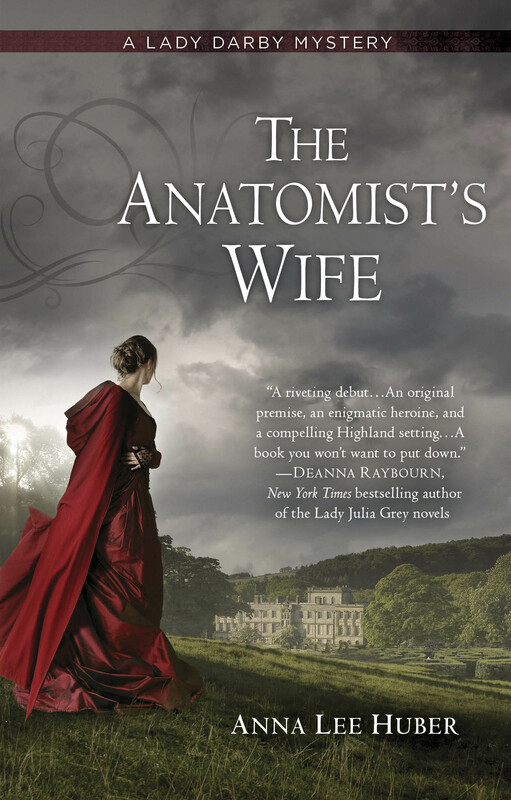 The first book, The Anatomist’s Wife, begins sixteen months after the death of Lady Darby’s anatomist husband and the scandal that followed his passing—arguably the darkest period of her life. She has largely gone into hiding, too frightened and overwhelmed to face the world. But when a woman is murdered at her sister’s estate and Kiera instantly becomes the prime suspect, she’s forced to step out of the shadows and fight to prove her innocence. The novels follow her personal journey of healing, including her heart. I’ve had readers and reviewers describe the series as “CSI” meets Agatha Christie, or Jane Eyre meets Sherlock Holmes. 2. Fans of the series can’t say enough wonderful things about your heroine. Why do you think she resonates with readers so well? What do you love about her? I think she is best summed up by saying she is extraordinary in an ordinary way, and that is what appeals to readers. She’s intelligent, a gifted artist, and arguably a bit eccentric, but in a tangible way. She would rather stand back and observe, and she’s uncomfortable in social settings. Far from the gifted hostess, she’s awkward and uncertain, and that endears her to readers because who hasn’t felt that way at some point in their lives? She is also intensely loyal to those she loves and cares about. She may not have a lot of friends, but if you are fortunate enough to be considered one of them, she will fight to the death for you. I love her because she is so very genuine and real. Her foibles are obvious, and she can be vexing in her stubbornness, but they only draw you to her more. 3. Your books are set in Scotland in the 1830s. What about this time appealed to you? If you could live in any place at any time in history, what would it be? I chose to set my books in 1830s Scotland because of Kiera’s backstory and the correlating historical events happening at that time. Her late husband, a famous anatomist, forced her to sketch his dissections for an anatomy textbook he was working on. When he died, word of her involvement spread and she instantly became a figure of scandal and fear. Bodysnatching was still rampant, supported by the medical schools and anatomists, and the Burke and Hare case—two grave robbers turned murderers—had recently come to light. The populations of major cities like London and Edinburgh were terrified they would be snatched off the street and killed so their bodies could be sold to the medical schools. Strides were being made to reform the laws about which bodies could be used for medical research, but it wasn’t until 1832 that such a bill was actually passed. There are also numerous reforms being made in government and religion at this time. It’s a fascinating period—caught between the old ways of the Georgian-Regency era and the industrial revolution of Victorian England. If I could live at any time in history, I think it would be Regency England. I don’t know precisely why it fascinates me so, maybe it’s all Jane Austen’s fault, but the period between the Revolutionary War and the time I write in (1830) has always been the most interesting to me. Though, to be honest, if given the chance, I’m not sure I would take it. It would be difficult to give up modern life. 4. I hear you’ve been contracted to write THREE more Lady Darby mysteries—taking it up to book five in the summer of 2016. I’m sure that will make a lot of people very happy. Can you give us any hints as to what’s in store for our heroine? Yes. I’m absolutely thrilled. 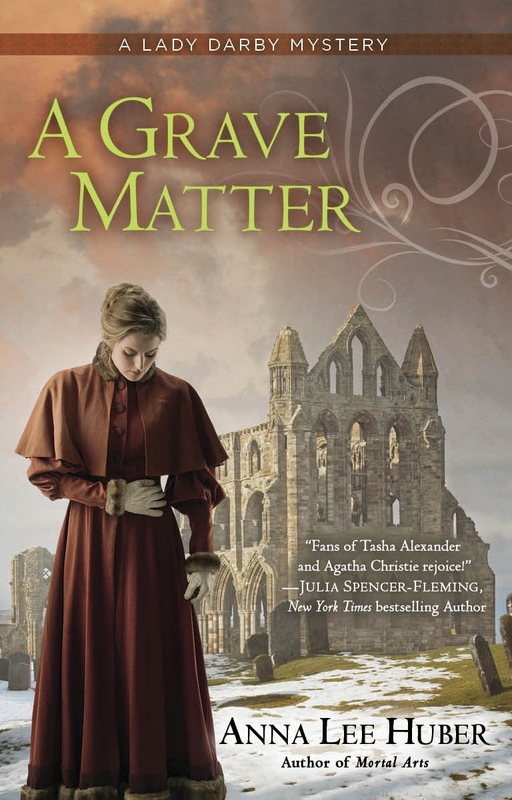 And without giving too much away, I can tell you that Book 3, A Grave Matter, which releases on July 1, opens on Hogmanay (that’s New Year’s Eve for us Americans), just a few months after the end of Mortal Arts. Kiera is understandably a bit lost and still grieving from the events at the end of that novel. However, that doesn’t prevent her from teaming up with gentleman inquiry agent and romantic entanglement Sebastian Gage to solve yet another bizarre mystery, and this time it revolves around the disturbance of several old graves. Readers will be glad to know that there are some significant developments in Kiera and Gage’s relationship in this book, as well. And they will carry over into Book 4, which is set in Edinburgh, as well as Book 5, tentatively plotted to take place in Ireland. 5. As the author of a still-unfolding series myself, I have to ask: Now that you’ve gotten two books under your belt and are working on the third, does it get easier or harder? A bit of both. There is some comfort in knowing you’ve done it before, so now you just have to do it again. And with a series, the main characters are already established, so there’s a sense of security in delving back into their thoughts and lives. On the other hand, there’s a whole new set of challenges. I had some difficulty writing Book 2, Mortal Arts, because it was the first novel I’d written under a publisher’s deadline. Not to mention the fact that I was suffering from a bad case of imposter syndrome—an intense fear that The Anatomist’s Wife had been a fluke, that I really couldn’t write, and now I would be found out. But Book 3, A Grave Matter, actually ended up being even harder because I was tackling some intense emotional turmoil carried over from events in previous books, and trying to resolve those satisfactorily. It was also the first book I’d written after being successfully published, so I now had expectations for myself and my work that I hadn’t before. Add to that the fact that I was battling some awful all day-all night nausea/morning sickness from my first pregnancy much of the time, and it was not an enjoyable experience. But I really think it all pushed me to write a stronger story in the end. 6. When it comes to being an author, half the battle is getting the word out. How do you go about promoting your work? This is one of those questions that I still like hearing the answer to from other authors. Marketing and promo is such a difficult beast. I’m active on my website and social media—a must now a days, I think. I usually make fifteen to twenty stops on a blog tour, promote giveaways, and schedule as many personal appearances at bookstores, book clubs and festivals as I can. I attend writers’ conferences across all my genres, though this year I will likely miss out on most because of my little one on the way. I send out a press release, particularly to my local media, and accept all of the interview requests that come my way from that. Really, anything I can think of that is manageable. I bounce around a bit. Sometimes I write in my office, sometimes the living room or bedroom, sometimes at a coffee shop. If one location becomes stagnant for me, I’ll move because the novelty seems to jostle something in my subconscious. I prefer to listen to instrumental music—classical or soundtracks. I love music—it was my major in college—but music with words is too distracting when I’m trying to write. I usually write on my computer, but when I’m stuck sometimes writing longhand actually helps. Once again, I think it’s the novelty, not to mention the fact that you’re using different neurons and pathways in your brain. Every book I’ve written has started in a different way. It can begin with a character who is talking incessantly in my head that I simply have to capture on paper, or a single vivid scene that just won’t let me go so I have to build the plot around it to figure out what is going on. Sometimes I read something in a book or hear a song that provides instant inspiration. I usually start with a rough idea or plot and allow myself to run with it for a little bit to see if it actually has potential to become a fully fleshed story. If so, then I sit down and plot the entire book before jumping back in, always working from the beginning to the end. 8. What is the best piece of advice you’ve received that you can share with aspiring writers? You cannot call yourself a writer if you don’t write. When I need a kick in the rear for whatever reason—whether I’m being lazy, feeling intimidated and overwhelmed, or just plain procrastinating—I always remind myself of this. It doesn’t matter if you’ve been published or not. If you’re not putting words to paper, then you cannot call yourself a writer. Maybe you used to be a writer or you want to be a writer, but you are not currently a writer. Something about that clear, concise statement cuts through all the clutter of everyday life and makes me sit down and write. 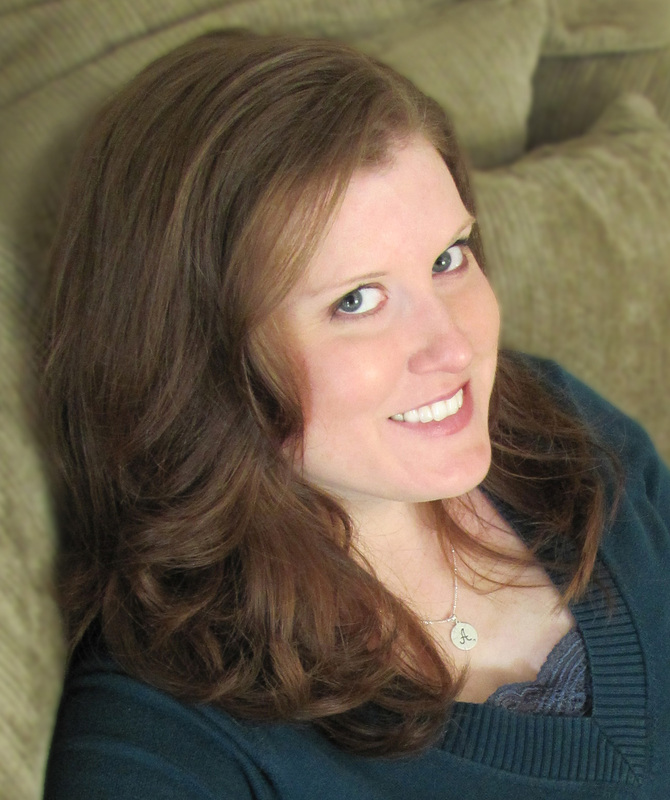 To keep up with Anna, visit her website at annaleehuber.com, follow her on Twitter (@AnnaLeeHuber), and check her out on Facebook (AuthorAnnaLeeHuber). Comment below to win a print copy Mortal Arts (continental U.S. only). The giveaway will remain open until 11:59 p.m. Thursday, February 6, at which point I’ll pick a winner at random. Best of luck to you all! Sign up here for exclusive updates about Desperately Ever After and advanced notice of giveaways. Wonderful interview this series sounds like a perfect read for me. Thanks for the comment, Rhonda! I love a good mystery–presently I enjoy Anne Perry’s Charlotte and Thomas Pitt series and Alan Bradley’s Flavia de Luce–I really look forward to meeting Lady Kiera Darby. Congrats on your book. Thank you, Cathleen! Love those series, too. This is one of my favorite series’ of all time. I’d LOVE to win a copy! Hi Heather. Thanks so much for stopping by–and for introducing me to your blog. I’m huge on DIY, so I’m definitely bookmarking it now! I just started THE ANATOMIST’S WIFE. I love reading about your process. Can’t wait to read more in this series. Thank you, Marianne! Hope you enjoy. HI Dawn! Thank you for sharing! So glad you enjoy my books, and I wish you all the best with the launch of your own series. Shoot me a message on my Facebook page or Twitter when you find out your release date so I can give you a shout out when the time comes. And best of luck with your expected bundle of joy. I’m inching closer to my due date and very excited to finally hold her. I didn’t know the second book was out already! Really enjoyed the first, and have the second on order at the library. I love Anna’s books and I would LOVE a copy of this book. I love the series, thanks for sharing your interview with her! i love this series so much, would love to win!! Congrats, again, on your contract for more Lady Darby! I really enjoyed reading both Lady Darby novels and I’m excited to read the 3rd book being released this July. I work at my local pubic library and have requested that we purchase Anna Huber’s books for our patrons to read. The backstory of Lady Darby is so unique and I hope that the series continues well past 5 books. I’ve been a Deanna Raybourn fan for historical mysteries, but Anna Huber is my new favorite author in this genre. Thank you so much, Claudine! And thank you for requesting the book for your local library! That’s exactly what an author loves to hear. 🙂 I have plans to take the series beyond 5 books, so here’s hoping my publisher eventually agrees. Love Deanna Raybourn! She’s definitely one of my favorite authors. Thanks for a very interesting interview! It’s nice to read some HF set it Scotland. I really liked “The Anatomist’s Wife.” I got “Mortal Arts” for my mother for Christmas, and I haven’t gotten to borrow it yet 🙂 I’d love to win! Thank you, Ashley! I adore Scotland, obviously. 🙂 Such a magical, atmospheric place with amazing history.